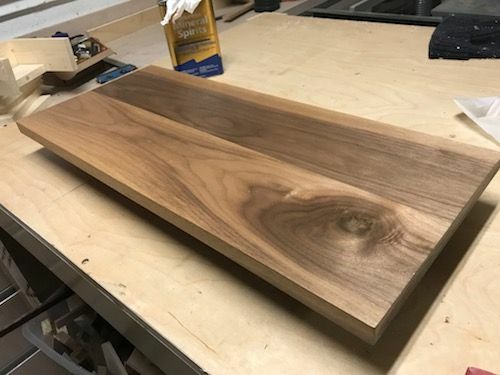 I’ve been using a lot of Walnut lately and recently came across a few boards that look completely different in color than everything else I’ve seen. Is it just that these have significantly more sapwood than everything else I’ve used? All of this walnut came from the same hardwood dealer. But these last few boards have been completely different. Before milling these looked similar to everything else I’ve used, but it’s much much lighter after milling and finishing. The beauty of nature. Can’t grow them all the same. 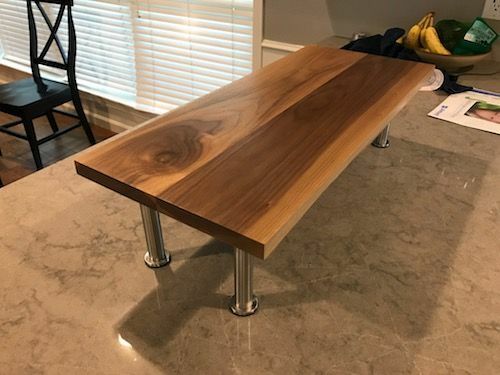 There is usually such a diverse range in walnut color, those certainly don’t seem out of the ordinary. It all looks good to me, but beauty is in the eye of the beholder. Different genetics, different soils, growing conditions, etc all affect lumber color. Walnut harvested from about 70 miles east of me that I get from one mill has different shadings than that I get from a different mill about 60 miles southeast of there. 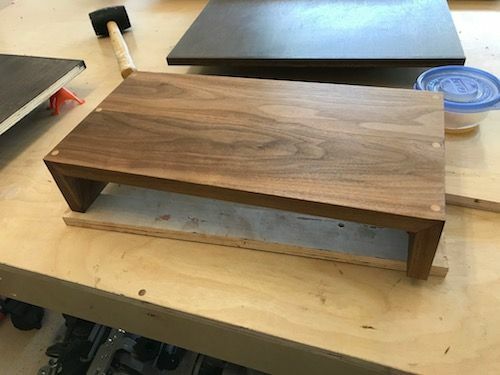 Another possible cause: Walnut is frequently steamed to migrate the darker heartwood color into the sapwood so they get more yield out of a tree. The downside is that it lightens the heartwood somewhat. Not saying that is the case here, because usually those pieces won’t show any delineation between the heartwood and sapwood, just saying it’s sometimes a factor. 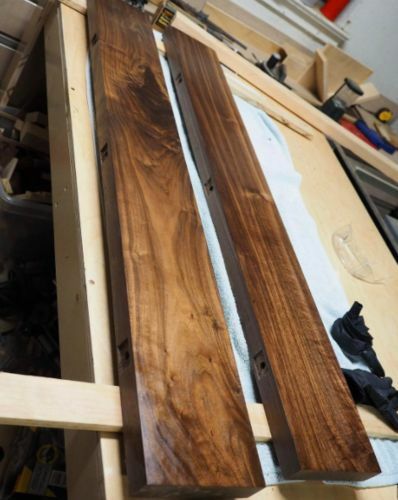 When I use different lots of walnut I like to go with a medium walnut Danish oil to even out the colors. Like the two guys above said, that’s just nature brother. 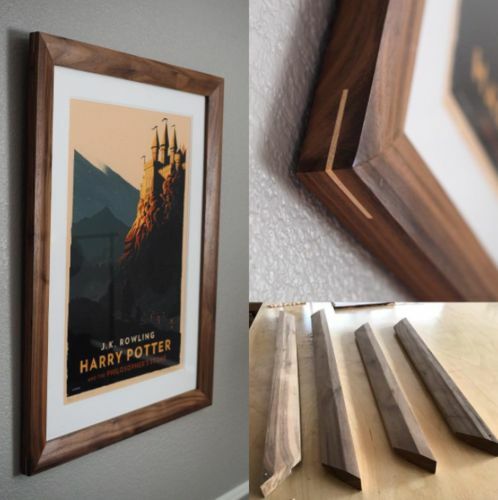 Offtopic here as the other guys already covered it, but where did you get the Harry Potter poster? My wife is a big fan and would love one. 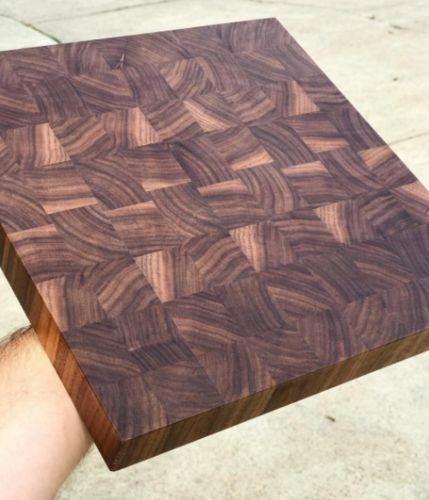 It’s walnut alright, just different but equally beautiful! I’ll take this opportunity to congratulate you on your work, the third picture looks fantastic. Is there a way to tell the color while at the lumber yard? These looked fairly close to everything else I’ve seen before being milled. I’d hate to be in the middle of a project and discover one of my boards was this light and the rest were very dark. Mine was also a gift to the wife. I got it from the artist, Olly Moss. Looks like they are sold out. People are selling them on ebay for like $300 each, but I’m not paying that. The sets are listing for $1k. 1) in most pieces, I like sapwood in walnut. There are times when you want a more uniform color. 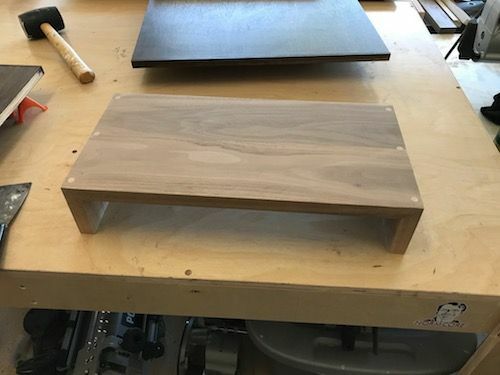 2) Given your experience, when doing projects like the middle pictures, I’d but a little finish on different boards before joining them to see if you like the way they look together. In many cases, even mineral spirits might reveal the color differences. I tend to enjoy the natural differences, but I could see wanting a more uniform look. 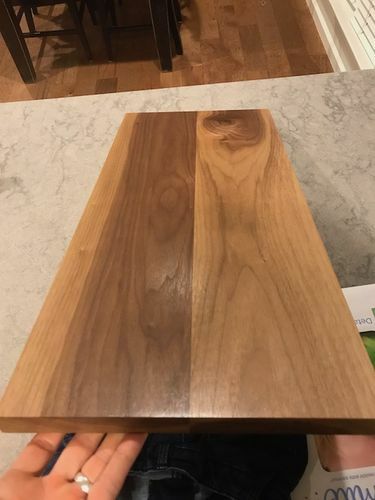 I know with cherry color differences often even out over time, but I doubt that is true of walnut in the same way. What the Hell does a poster have to do with the topic? Picture #2. On the wall. Is there a way to tell the color while at the lumber yard? These looked fairly close to everything else I ve seen before being milled. I d hate to be in the middle of a project and discover one of my boards was this light and the rest were very dark. Best way is to get all pieces from the same tree. It’s pretty much the only 100% guaranteed way to ensure consistent color. One reason I like working direct with the guys milling the logs, but not always feasible. If that isn’t possible, see if the lumberyard will allow you to wet the piece with some mineral spirits or denatured alcohol. That’ll give a good idea of color with finish and the alcohol will evaporate out quickly without causing any problems later on. Last resort if you find yourself in that situation is to dye the pieces to match. It takes time, patience and practice to be able to do that consistently. don’t know if theyd allow it at the lumberyard, but spraying some water on a little section of the lumber can help show the color.